One of the temples of Yongguram when viewed from below the main entrance. 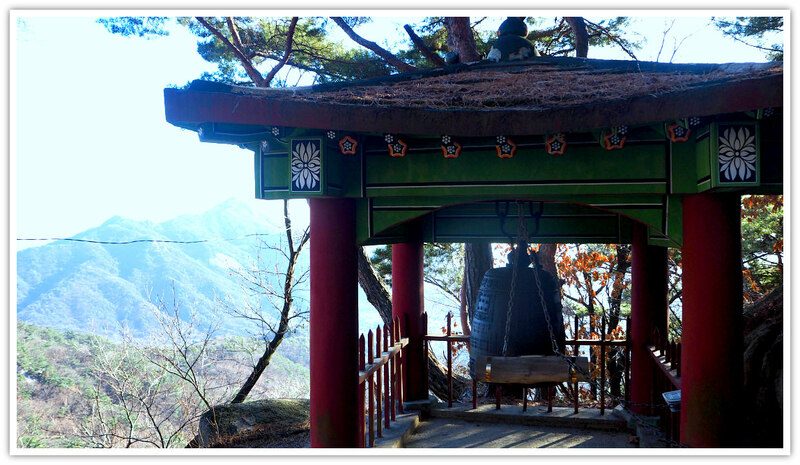 Yongguram Temple is a ‘hidden temple’ located in the beautiful Surak Mountain, South Korea. 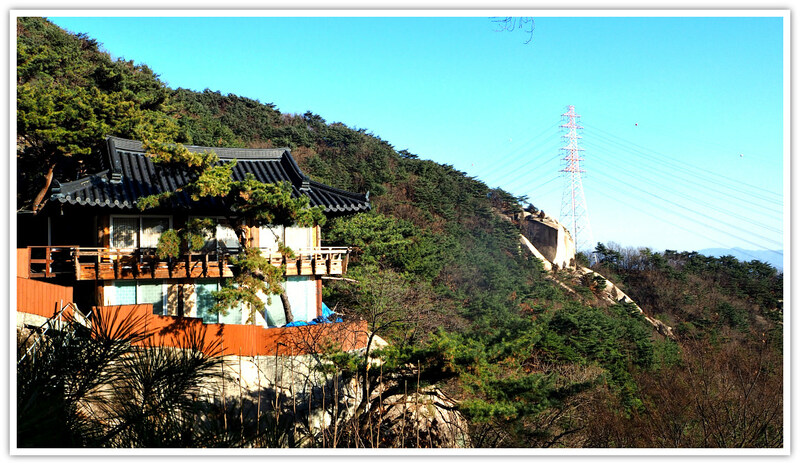 It is known to be a hiding place for a short time of Empress Myeongseong in the late Joseon Period in 1882. Yongguram is a small temple with much smaller religious facilities for Buddhism believers compared to its neighbor temple—Hangnimsa Temple. However, Yongguram Temple has a wider and better view of the southern side of the area. You can have a panoramic and spectacular view of the sunset (if you consider this as your trail going back to the subway station). This temple is about fifteen minutes from Hangnimsa Temple, a much bigger temple area with more to see (or meditate on!). Yongguram was established in 1878, according to the descriptions at its entrance area. The monks started by performing their worship to Buddha while fasting inside the cave called Nahangul Cave. This cave is now part of the main temple and located just beside it. This small temple became notable as it hid Empress Myeongseong for a while then escaped to Yeoju in 1882 due to the Imo Incident (壬午軍亂 임오군란), or known as the Imo Mutiny. It was a violent uprising in Seoul in 1882 by soldiers and later joined by wider Korean people. The event was partly due to Emperor Gojong’s reform and modernization activities. 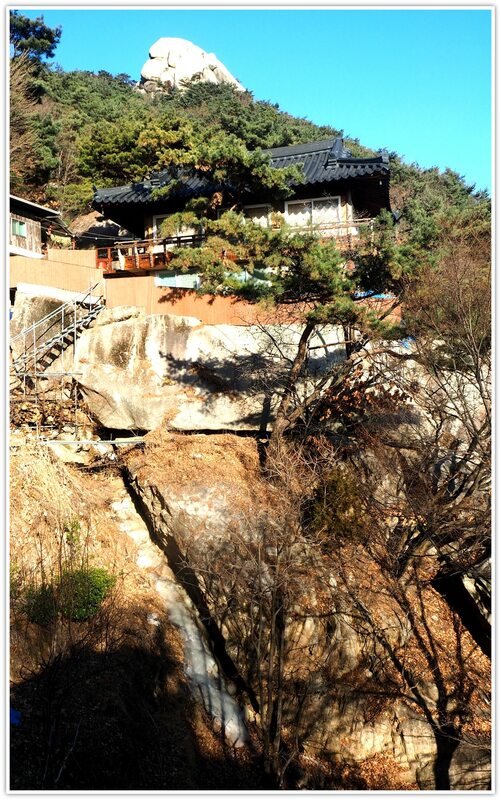 Yongguram is also an Arhat Prayer Center, a place where one can become a ‘perfected person’ who gained enlightenment. In other words, this place is where you can achieve nirvana (spiritual enlightenment). At Nahangul Cave, you will find some Sakyamuni and Arhat statues. 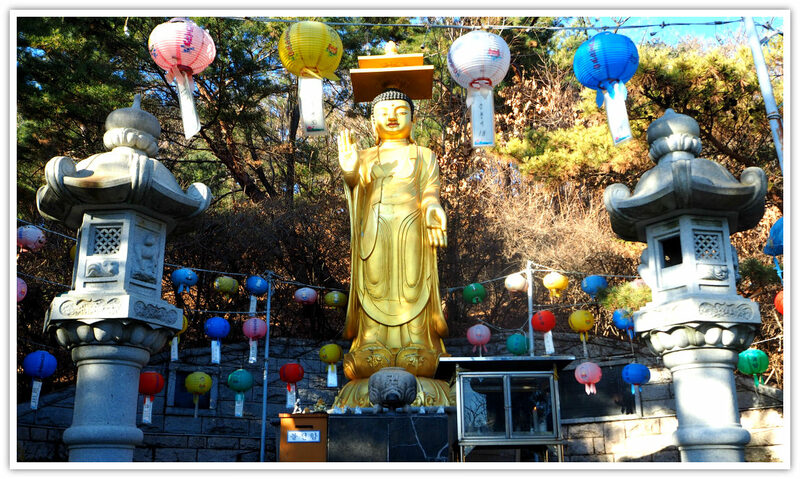 At the Daeungjeon Hall, you will see (when it is open) a stone statue of seated Shakyamuni. Even during the Korean War, Yongguram Hermitage continued as a center for practicing Buddhists. This was due to the efforts of the monks and people who were supporting the temple activities during trying times in history. You can take a subway for Danggogae Station, Line 4 from any Seoul Subway system. 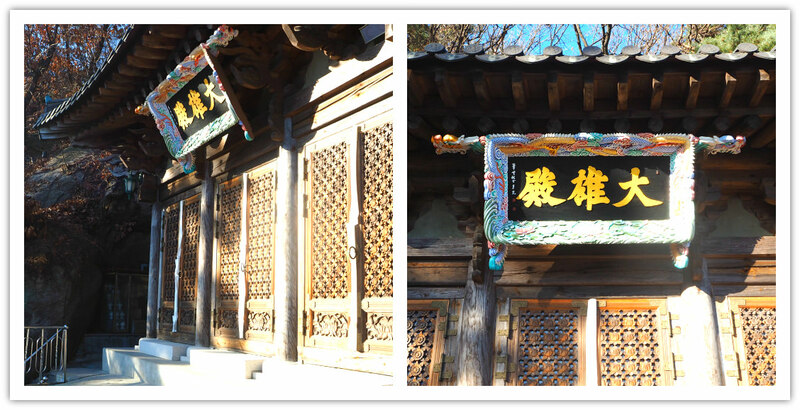 Then you should get out from Exit 4 and follow the signpost pointing Hangnimsa Temple. Once at Hangnimsa’s entrance area, proceed to the stone steps on the left leading to Yongguram Temple. Don’t worry about getting lost as there are other hikers and signpost posted at strategic places. 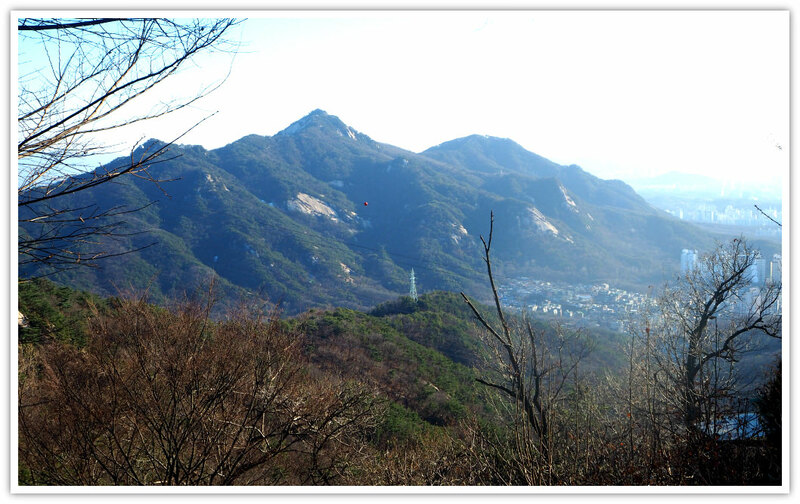 From Yongguram, you can proceed to the peak of Surak Mountain if that’s your main destination. This trail is located near the bell (tower) which leads to the newly built Buddha statue. From this statue, it is about 1.5 kilometers to the summit. Thanks for visiting this page. Have an amazing journey!